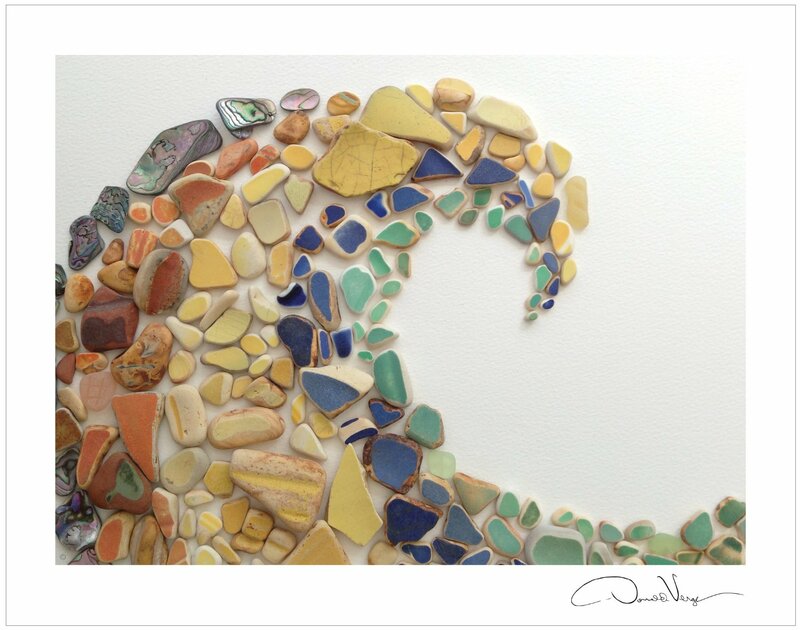 You don’t have to be a sea glass fan to really love Donald’s beautiful sea glass post cards! 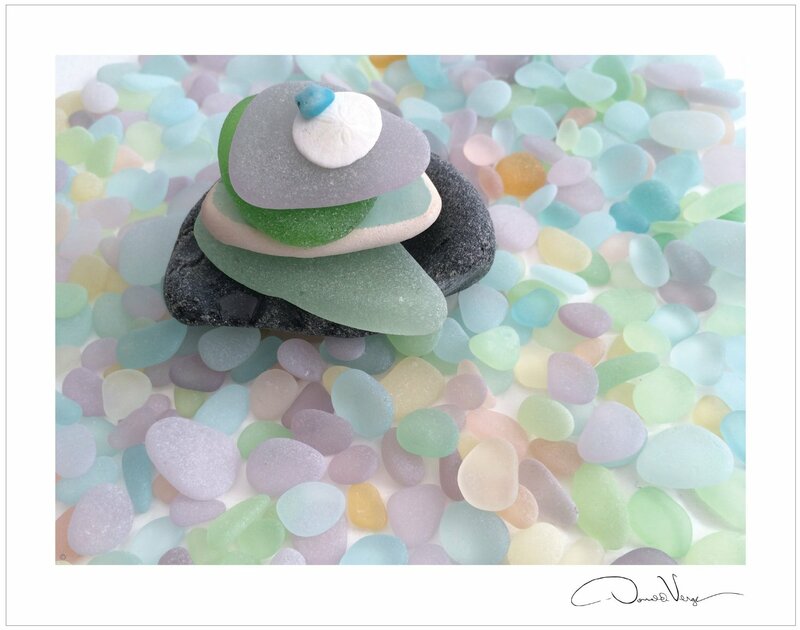 His sea glass work is now available as note cards due to popular demand! Check them out over here. 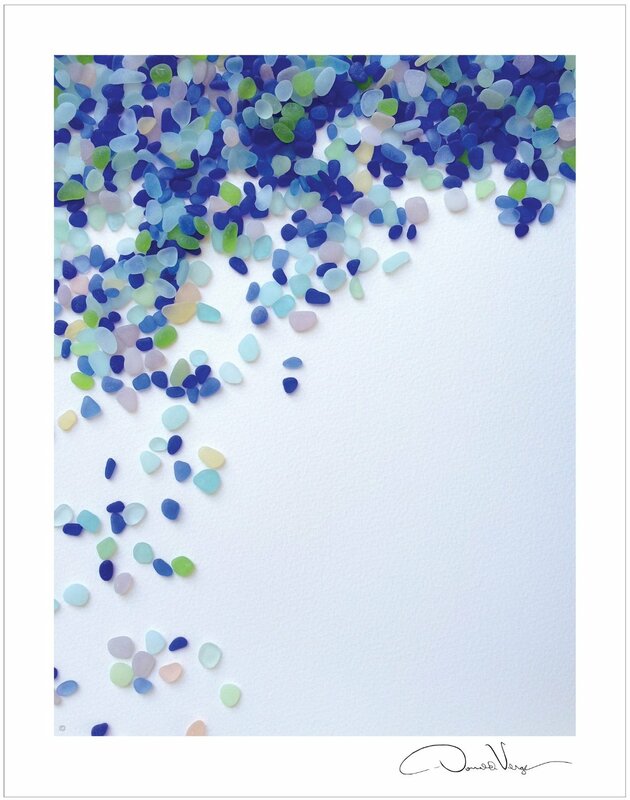 The elegant note cards show lovely peaceful arrangements of all colors of sea glass together with flowers or sea glass. These cards are perfect to have on hand to use as birthday cards, as classy love notes or simply to send warm sentiments to someone special. The collection also make great gifts! The sea glass note cards come as a set of 10 – 2 note cards per design. Hot off the Presses! The New 2016 Sea Glass Calendar! We are so excited. Donald Verger’s 2016 Fine Art Sea Glass Calendar is now out. It is filled with gorgeous sea glass photographs taken in his inimitable style. Many new compositions which are sure to delight! The sea glass for each and every one has been arranged in a meditative, and seasonally appropriate, manner. The sea glass has been arranged into different shapes like hearts, meditative spirals, flowers and even a turtle. All with careful choices of color. Truly treasures from the sea! These art photographs can also be framed for home decor. Last year this calendar was the most reviewed calendar on Amazon and we think this year will be just the same. An Amazing 10 Heart Posters for Loving Gifts! The special heart poster collection continues to grow for Donald Verger Photography. Back in early December, there were only 7 of them. With three more posters available or in the pipline, the count is now an amazing 10 heart posters!! They all measure 11 x 14″ and make beautiful loving gifts be it for Valentine’s Day, anniversaries or birthdays. The heart symbolizes love and these posters will be a constant reminder of your thoughts and wishes to those near and far. The posters are easily framed and are perfect for adding just the right touch to home decor. The rare red sea glass heart poster joins the highly collectible group of sea glass heart posters. The pretty violet flower heart poster will make a delightful gift for nature lovers and gardening enthusiasts! The sea shell heart poster is coming very soon so please do check Amazon for its appearance. Beautiful Sea Glass Calendars, Posters and Book to Gift! Donald Verger started with his sea glass calendars a few years back. The sheer popularity of his sea glass perpetual calendars and annual calendar led him to come up with even more creative projects such as his beautiful book – OF LOVE & SEA GLASS : INSPIRATIONAL QUOTES AND TREASURES FROM THE SEA which is available as a hardback as well as a CD case/stand desk version. The original sea glass poster from that book became a best seller and that lead to two more sea glass heart posters featuring rare colors of sea glass. 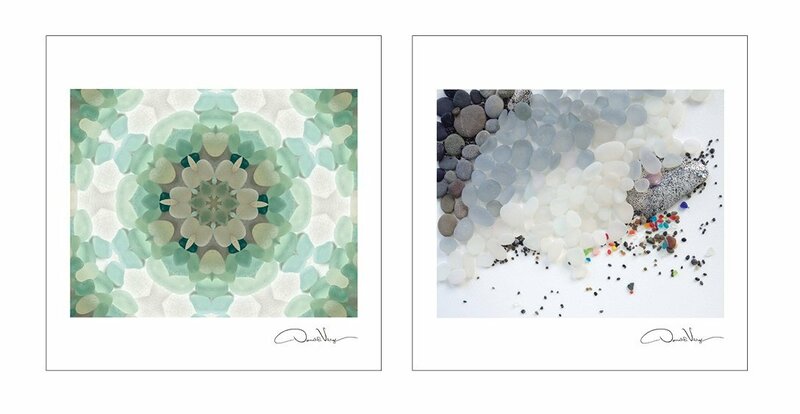 More sea glass posters are becoming available soon! All make lovely gifts for the love of sea glass is timeless and universal. 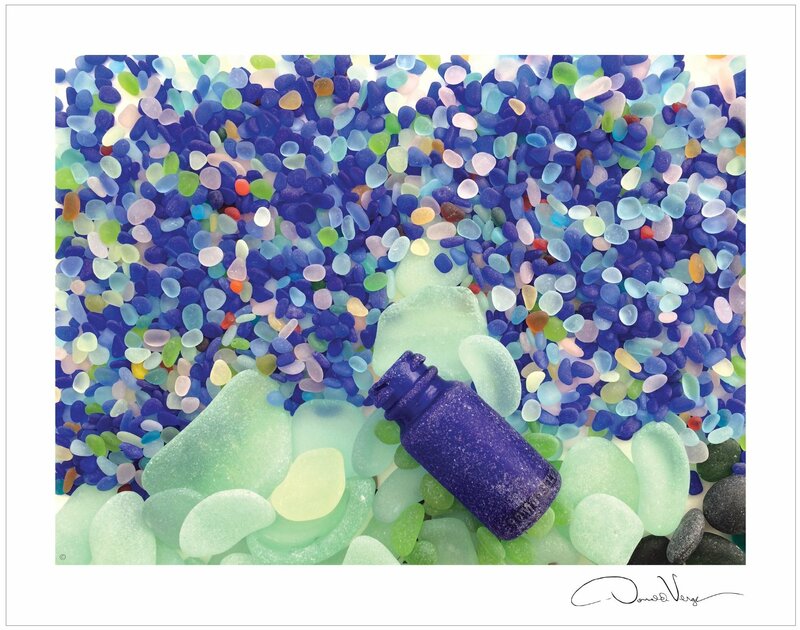 SEA GLASS AND BOTTLE POSTER – COMING SOON! ZEN SEA GLASS POSTER – COMING SOON! RAIN SEA GLASS POSTER – COMING SOON! WAVE SEA GLASS POSTER – COMING SOON!